We are created from and are constantly shadowed by our forefathers’ lands. The influences whether personal or of society shape and have shaped the way we love and live our lives. 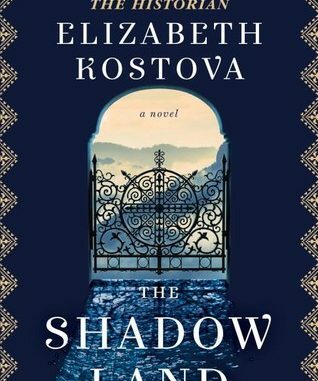 Elizabeth Kostova in “The Shadowland” cleverly juxtaposes the histories and experiences of Bulgarians from very different epochs of the Second Bulgarian Republic, with the main protagonist’s lamentation and loss in her own land. Alexandra, an American saddened by the collapse of her family and death of her brother arrives in Sofia, for an adventure. A chance encounter after a miscommunication leads to a topographic tour of Bulgaria and the unravelling of the tragic life story of a talented musician, Stoyan Lazarov, tragedy also brought about by a chance encounter. In the shadows of Vitosha, Alexandra’s baggage is augmented by the pulverised remains of Stoyan Lazarov. Additional emotional baggage is not what a newly arrived immigrant requires, but luckily help is forthcoming in the form of the heroic Asparu aka Bobby, a part time taxi driver and modern day poetic leader who accompanies her during the run up to her Lazarov day and the return the remains to Lazarov family. During their quest the shadows of the Bulgarian topography are never far away. Alexandra and Bobby search for the Lazarovi from the secluded Orthodox monasteries, to the nameless socialist inspired villages. From historical Plovdiv to the heights and emotional turmoil of the Rhodope mountains. From Sofia and its governmental buildings to the calm ebb of Burgas and the Black Sea. The more spectacular and enduring the place the closer the duo get to making sense of the past. Intertwined with the topographical shadows are those of the manmade variety. Lurking in the twilight are strange, monastic incarcerations, suggestive graffiti and an unsettling feeling that Putin’s old friends from the State Security were back in town. Something bad happened to Stoyan Lazarov, we can feel it, but sometimes part of history can be obfuscated, shadows made fainter, or optical illusions created. Bernessian Public Relations has worked wonders for clever tyrants. An illusion of cleanliness is enough for the public trust in our politicians. Why question the obvious? But there is no obvious or usual in this story. It doesn’t flow like a formulaic Nancy Drew mystery or carry you on a wave of historical magnificence or horror. It just is as Bulgaria is, a country that ebbs and flows on the tides of its history. Alexandra does eventually have her Lazarov Day and the Lazarovi are eventually reacquainted with Stoyan’s ashes, his history clarified in life and death. Asparuh one again led his troops to victory, but I’m sure those shadows will again obfuscate for generations to come. It’s a good honest, unpretentious read.